1242 Keim Trail, Bartlett, IL.| MLS# 10342841 | Parade of Homes Bartlett IL, Homes for Sale in Bartlett and the greater Schaumburg area. Listing commissions as low as 1%. 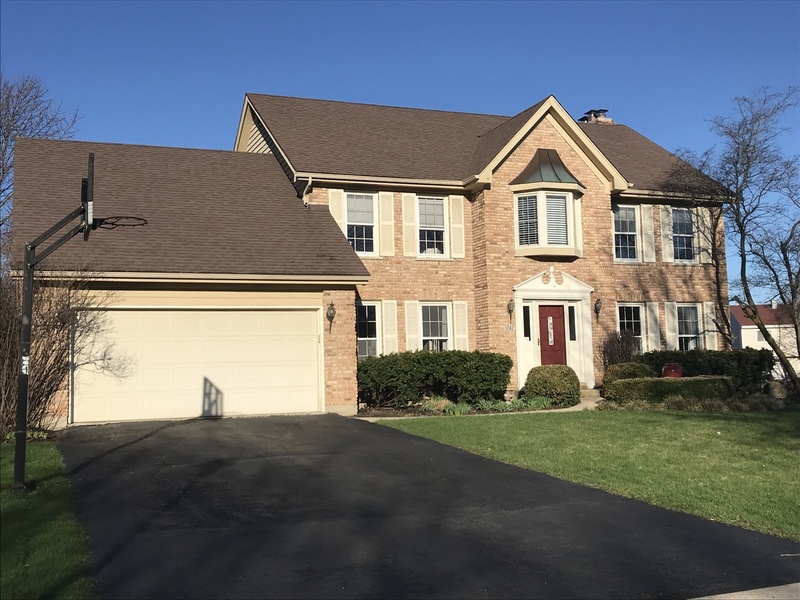 SOUGHT AFTER DURWOOD FOREST LOCATION WITHIN BARTLETT HIGH SCHOOL BOUNDARIES. CUSTOM KEIM BUILT HOME ON OVERSIZED LOT THAT IS OFFSET TO EASILY ADD THIRD GARAGE. DECK OVERLOOKS PROFESSIONALLY LANDSCAPED LOT. FOUR BEDROOM HOME WITH HARDWOOD FLOORS THROUGHOUT, LARGE DEN, SIX PANEL DOORS, CUSTOM MILLWORK, FULL BASEMENT AND TWO FIREPLACES. UPDATED KITCHEN INCLUDES DUAL FUEL WOLF 48" OVEN/RANGE, CUSTOM HOOD WITH POT FILLER FAUCET, BUILT IN KITCHEN AID REFRIGERATOR, CUSTOM ISLAND, WINE FRIDGE, TWO DRAWER FISHER PAYKEL DISHWASHER AND TILE BACKSPLASH. LAUNDRY ROOM WITH REAR YARD ACCESS. LARGE ROOM SIZES THROUGHOUT INCLUDING 30X12 MASTER BEDROOM SUITE WITH FIREPLACE. WHOLE HOUSE GENERATOR, HIGH ENERGY FURNACE WITH ELECTRONIC FILTER. EASY ACCESS TO BIKE PATH, FOREST PRESERVE, PARKS, SCHOOLS, MAJOR ROADS, SHOPPING AND DINNING. ALL IT NEEDS IS YOU TO MAKE IT HOME.